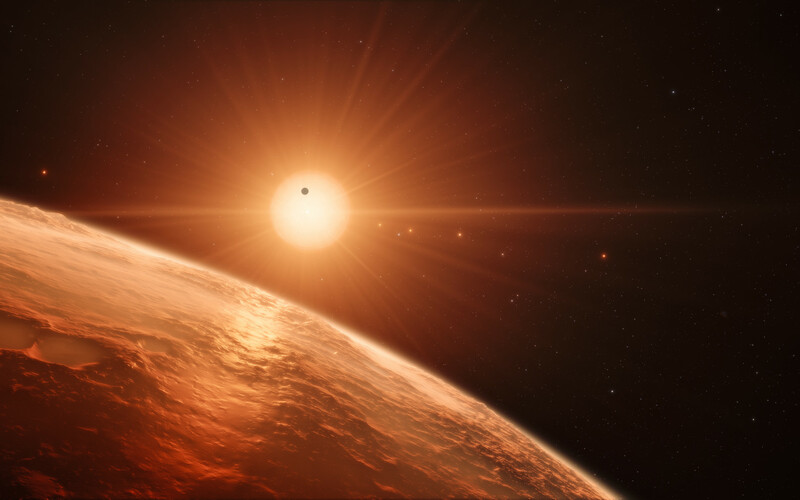 This artist’s impression shows the view from the surface of one of the planets in the TRAPPIST-1 system. At least seven planets orbit this ultra cool dwarf star 40 light-years from Earth and they are all roughly the same size as the Earth. 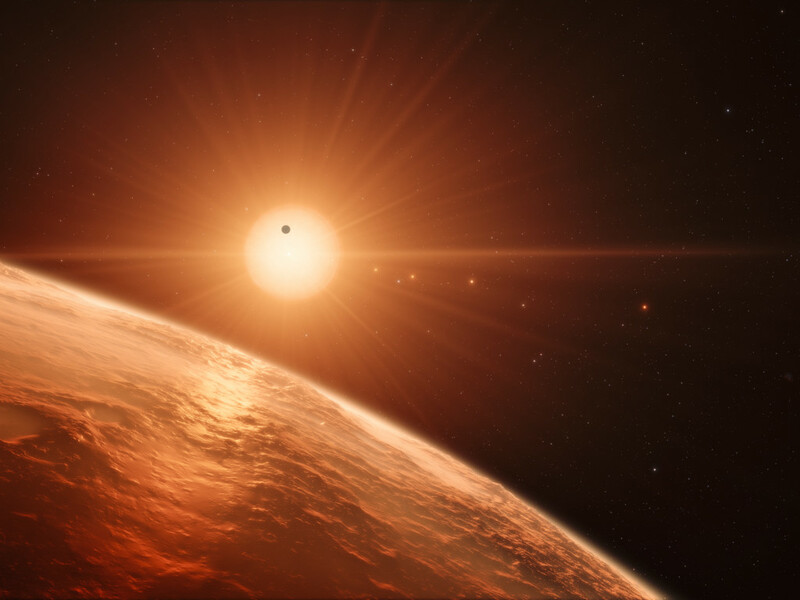 They are at the right distances from their star for liquid water to exist on the surfaces of several of them. This artist’s impression is based on the known physical parameters for the planets and stars seen, and uses a vast database of objects in the Universe.